Tired of monotony and casual designs? I guess it is time to represent you totally new styles for the lovers of nontraditional designs. 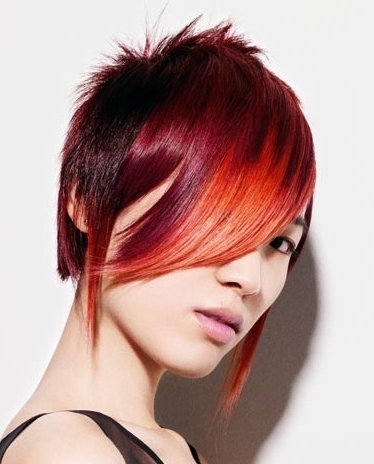 Well get ready to plunge into a new world of colors and bold designs with these examples of emo hairstyles and hair colors. 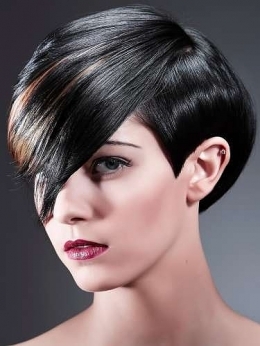 Emo hairstyle is anything but boring and casual. It is meant to brighten up look and complete emo image. 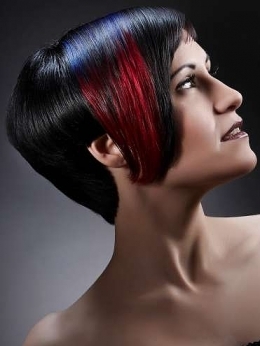 As being unique expression of emo’s personality hair gurus created so many bold and dramatic styles that will be perfectly suitable for emos, punks and Goths. If you are looking for new ways to accentuate your inner world, here is dazzling palette of emo colors. 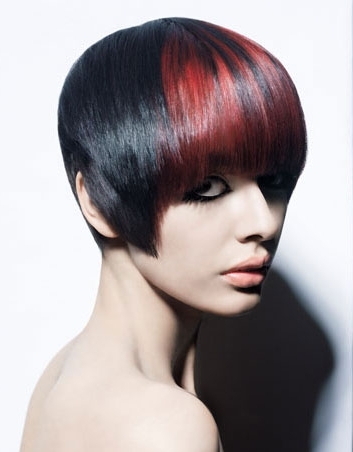 Multi tonal hair color has already become the most popular coloring trend and it will never go out of the fashion. It is much more interesting to wear multi tonal color than simple one tone hairstyle. The versatility of highlights and coloring techniques will never make you get bored. Indeed there are so many smashing and bold color combos that it will be simply impossible to mention all of them so at this time I want to show you stylish lowlights that are among the hottest highlights hairstyles. How does lowlights really look? You may first say that lowlights is simply grown out hair with dark roots. You are partially right. May be stylists created lowlights on that prototype and as a result we have got so natural and stylish design. Lowlights can be created on virtually all hair colors. The key detail here is base tone. Depending on natural hair there are two ways to create lowlights. One tone hair color is no longer trendy and if you have stuck to monotony you just ought to find out new ways to spice up your look with dazzling hair color. There are so many ways to look attractive so wearing dull hair is just a taboo for fashionable woman. Do you want to take everyone’s breath away while walking in a street? If so hurry up to find out what is trendy and what is going to be hot this winter. New season hair colors are bolder, crazier and brighter so let’s forget about natural tones and consider the hottest shades that are meant to break boring and harsh look of simple hairstyle. 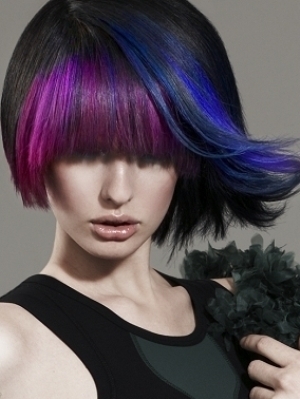 Thanks to modern hair coloring products you can adopt even the most unimaginable color combo. 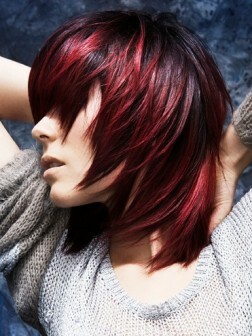 You can complete your natural hair color with bright highlights or totally change your image by hiding natural color. Of course such dramatic makeover needs the hand of pro colorist. If you have decided to dye hair for your own think twice because just a little fault can be fatal. On the other hand, if you really want to experiment for your own, you can at least use semi-permanent hair color that will not damage hair with harsh chemicals. Moreover, semi-permanent hair color will not last long thus giving you a chance to change color easier without going for bleaching. Tired of monotony and don’t want to blend in the crowd? I have great idea for you. 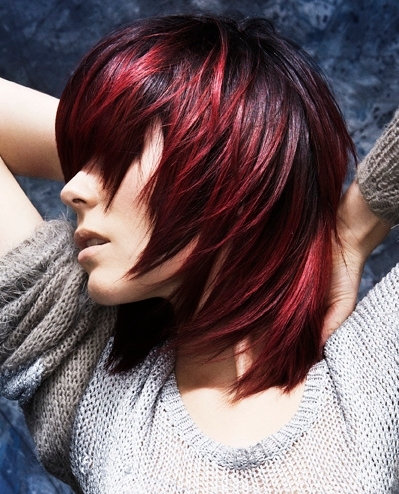 Brand new hair color will help you to change your dull image. I am sure that you knew about this option but you have hardly thought of combining two and lore colors. It is much more interesting to wear multi tonal hair color than simple one tone hairstyle. Besides of being modern and stylish hair highlighting is functional. First of all it can help you to create voluminous hairstyle. Want to create an illusion of unimaginable volume? Just spread thin strands of highlight all over hair and you will see immediate transformation of dull hair into amazing and voluminous hairstyle. The color of hair highlights should be very close to nature hair. This trick will make the transition from colored hair to natural barely seen thus getting the best result.